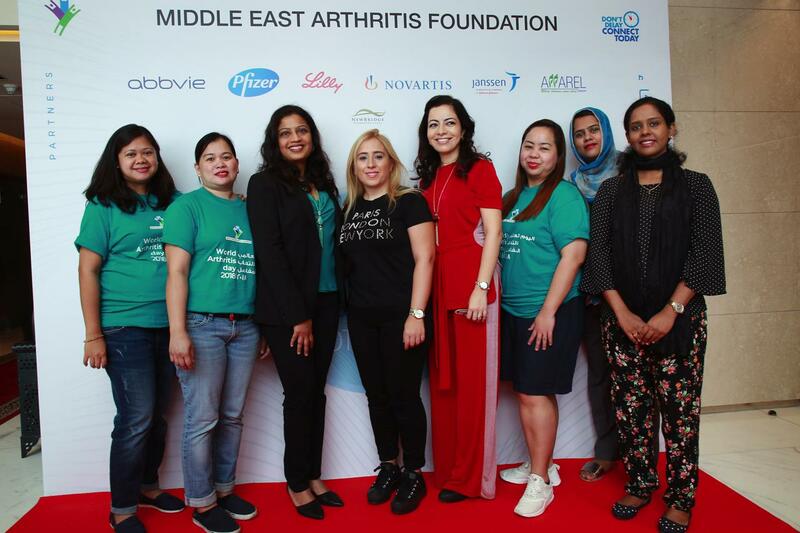 Ras Al Khaimah, UAE, January 2017 – The Middle East Arthritis Foundation will host its first Rheumatoid Arthritis awareness event for patients and their families on 4th February, to mark World Rheumatoid Arthritis Awareness Day. The annual event is observed on 2nd February, and is dedicated to raise awareness and promote education about the progressive inflammatory disease, causing damage to joint and organ tissues, resulting in severe pain. Headed up by two specialist rheumatologists, Dr. Ghita Harifi and Dr. Ghalib Al Ani, the event will cover the different types of rheumatic diseases and its effects. They will also discuss the importance of early diagnosis and its impact on the disease outcome, and how those affected by it can continue to enjoy a better quality of life. Dr. Harifi says that there is still much about the disease that is unknown, which is why an event of this nature is imperative. “The precise cause of Rheumatoid Arthritis is not yet known, but anyone, at any age, can get it and it may even occur in childhood,” she adds. According to Dr. Ghalib, Rheumatoid Arthritis is a disease characterised by pain and swelling in and around joints, and stiffness in the joints and muscles which is much more apparent in the morning. “It is a systematic disease, meaning it can affect the whole body, even the lungs, skin, blood vessels, nerves and eyes,” he explains. Statistics from the Global Arthritis Foundation show that more than 50 million people around the world have some form of doctor-diagnosed arthritis – equating to one in five people over the age of 18. More than 20% of the UAE population suffers from some kind of joint problem, with Rheumatoid Arthritis being the most common form of inflammatory arthritis. Rheumatoid Arthritis is most common in people between the ages of 30 and 50. Women are three times more likely to be affected by the disease than men.